Ikat or Bandha of Orissa has gloriously woven, blurred, and gem-coloured motifs in silk and cotton. The dominant motifs in this craft include animals and birds, with the traditional designs being fish and conch shell as well as bolmala, chandankora, and sachipar. As the design-type is single ikat, the designs on the material are blurred";" however, this trace-design has a beauty all its own. The intricate process involves tie and dye --- knotting sections of the yarn before dipping them in colours one at a time, and finally weaving them to produce motifs in multi-hued tones. 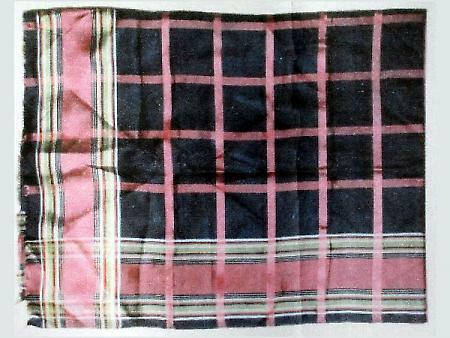 While Sambalpur is famous for its double-ikat textiles, Sonepur is known for its gold embroidered ones.